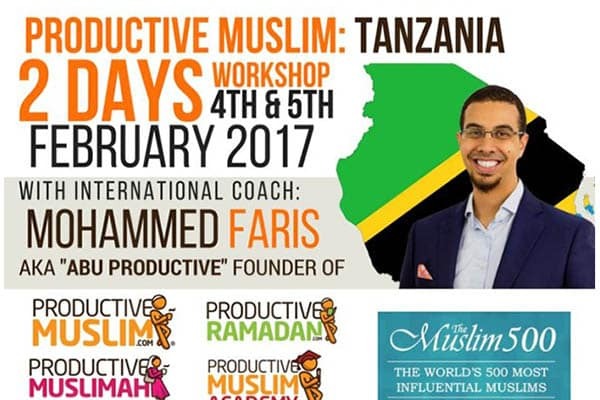 ProductiveMuslim.com is pleased to announce that Mohammed Faris (aka Abu Productive) will be delivering ProductiveMuslim workshops in Tanzania and Uganda this February 2017! Why should you be Productive? How Islam helps you become Productive? 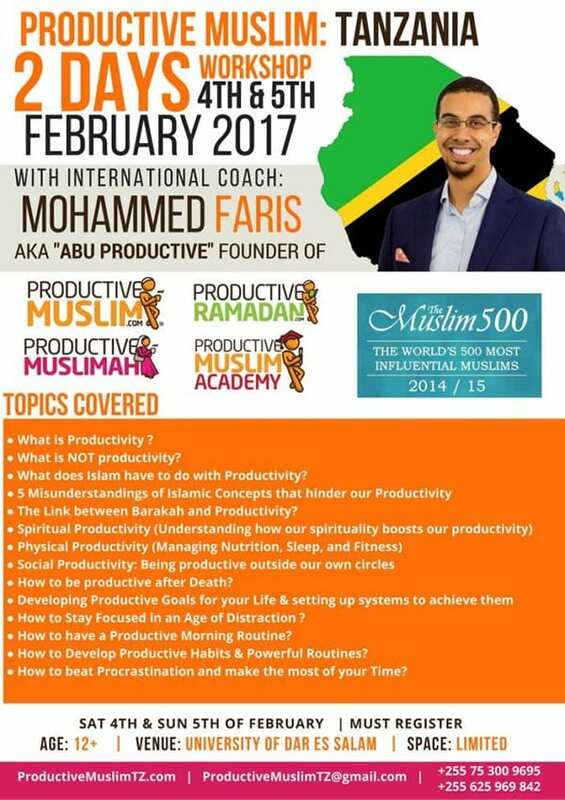 What is the link between Barakah and Productivity? How to manage your Sleep, Nutrition & Fitness to be Productive? How to be socially productive? How to setup your Life Goals? How to Focus in the age of distraction? How to develop Productive Habits and Routines? How to be Productive after death? 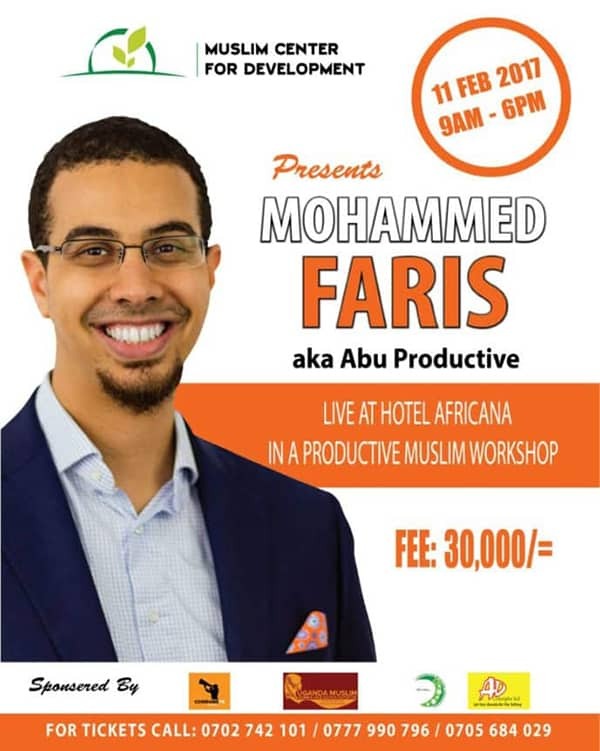 In addition to the 2-day workshop, the team in Tanzania have organized book sales and book signing ceremony of the new ProductiveMuslim Book in Kampala, Uganda on Saturday, 11th February 2017. We look forward to meeting all ProductiveMuslim readers and followers in Tanzania and Uganda!